If you’re still clamoring over how spectacular the Octagon’s fourth show on FOX was, it’s time to put this past weekend’s card in your rear-view mirror. “UFC 150: Henderson vs. Edgar II” takes place this Saturday and features a whole new cast of characters. To help generate buzz for the pay-per-view broadcast, FUEL TV premieres “Countdown to UFC 150” tonight at 9PM ET/6PM PT. 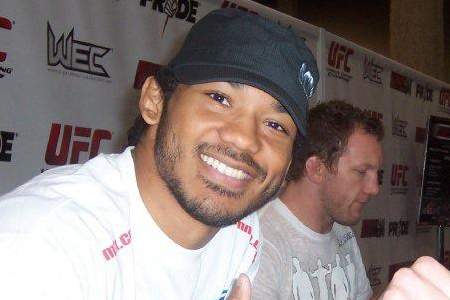 Benson Henderson (Pictured) defends his lightweight title against Frankie Edgar in the event’s featured attraction. The hour-long documentary focuses on the 155-pounders as they prepare for their highly-anticipated rematch. Pepsi Center in Denver, Colorado serves as host. FUEL TV airs “Countdown to UFC 150” replays on Wednesday (5AM ET and 6PM ET), Thursday (11PM ET), Friday (5PM ET) and Saturday (6PM ET).